As of version 1.3.0 you can insert tags into the forms generated email notifications that will insert a link to the file that was uploaded. 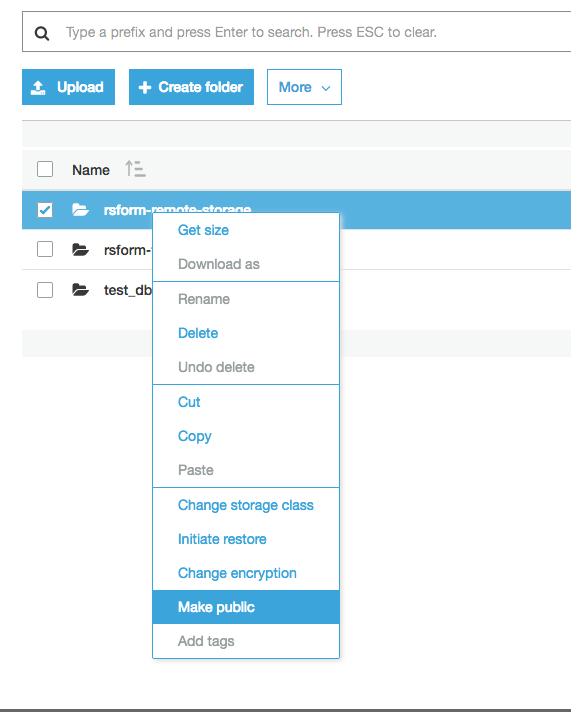 When a file is uploaded to DropBox through our plugin, DropBox generates a link automatically. You do not need to make any additional setting changes. By default the link will throw a Access Denied error page because folders/files stored on Amazon are private by default. 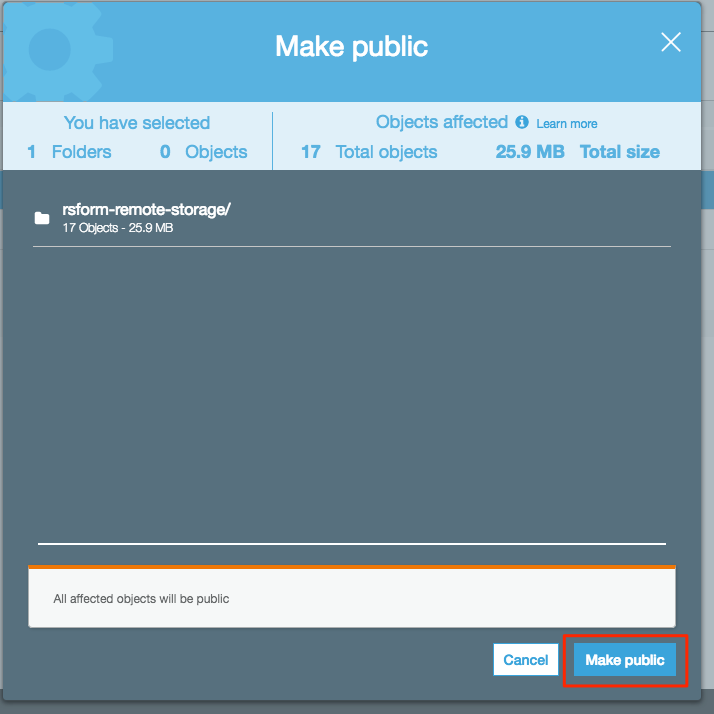 If you want the link to be accessible you must set the folder in Amazon S3 to Public. Right click the folder that you have files being uploaded to. In the popup that displays, click the Make public button.